Tickling the taste buds with a range of awesome funky food at Protea Hotel Fire & Ice! Melrose Arch has always been the domain of Executive Chef Vincent San, who hands over the whisk to his wife Samantha this month in the first change of kitchen management the trendy hotel has seen since it opened. Samantha says she’s ready and willing to step into her husband’s admittedly large shoes after working as executive chef of the hugely popular conferencing and transit property Protea Hotel OR Tambo Airport since 2010. 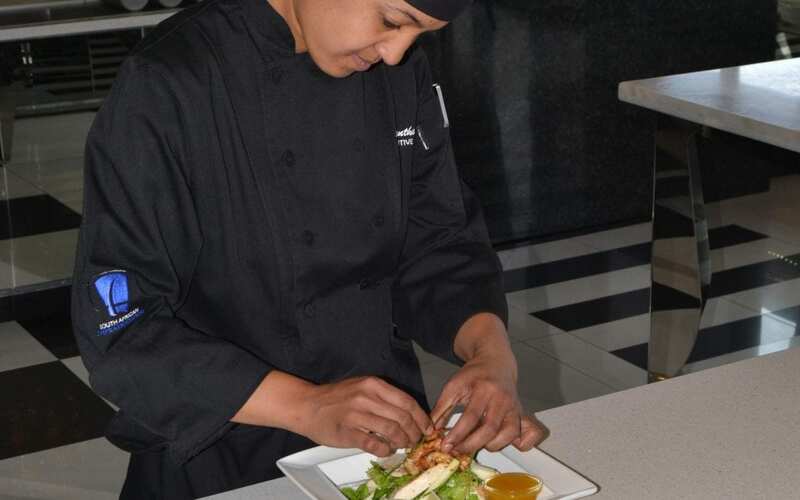 Like many of the group’s executive chefs, Samantha as a “lifer” has spent much of her career within the Protea Hospitality Group, right from her first experience as orientation trainee at Protea Hotel Victoria Junction in Cape Town in 2002 through to the fine dining kitchen of African Pride Melrose Arch Hotel, which for the second year in a row has won Taste of Joburg. Samantha says managing a kitchen staff larger than 20 is much like conducting an orchestra. “You need to keep all the instruments tuned and everyone playing the same song, otherwise you have chaos. “That said, there is a creativity and spark that comes with working in a Protea Hotel Fire &Ice! that I doubt a chef would find in any other kitchen and I’m chomping at the bit to get going. “That – and of course putting my husband’s team through their paces to see if his management style was all that,” she laughs. Protea Hotel Fire & Ice! Melrose Arch GM Gabrielle Abrahams says she’s looking forward to increasing the hotel management team’s “girl power” quotient. “I’ve known Samantha for a long time both from working with her at African Pride Melrose Arch Hotel, and of course through Vincent.